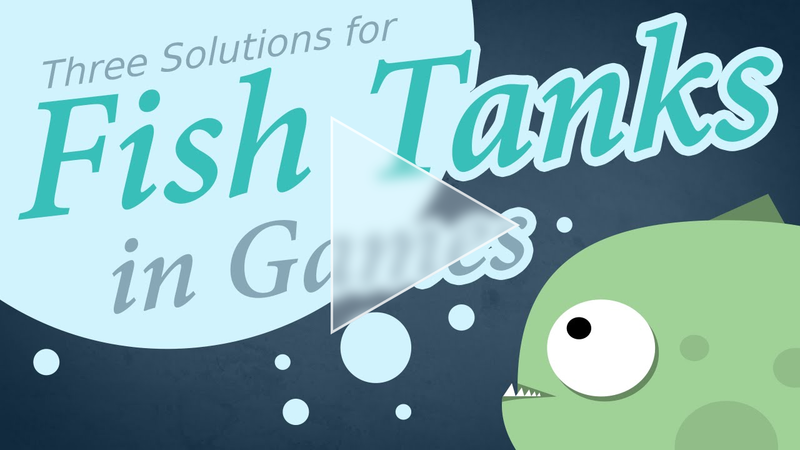 Do you need a fish tank for your game? No problem! This brochure contains three different fish tank solutions and at the end you’ll find two extra fish tricks! Perfect for those who like it classic and simple. But as you see in the first video this disadvantage is covered by placing some algae. Really interesting: The abrupt bending of the fish when it hits a “corner” of the cylinder-polygons fits well to the “spontaneous” movement of real fish. For those who like it Thicker. Stronger. Better. They just shrink – but don’t worry! The aquarium setting works to our favor again. Do you know when big round aquariums distort the view a bit? If you look at the first video again it almost looks like the bent surface acts like a magnifying glass and shows the growing & shrinking fishes in the middle bigger as the ones on the border. That’s why we think that the behavior of these fishes will not confuse observers too much. More freedom for happy swimming fishes. The particles get scaled in one axis which almost looks like that at a last action in his life the fish shows his flat secret to the observer. An very interesting alternative to “just” fade the particles out smoothly. For those who like it big. For those with open eyes. But when the fish can close his eyes you would expect that the eye lid would hide the pupil … which doesn’t work because they’re on the topmost layer! Here you see all possible animation states of the face texture and you’ll notice that some of them have pupils rendered into the texture and some don’t – the latter are the states where a extra pupil-layer is added to make the fish able to look around dynamically. Thanks to our good friends at Claybox Games for supporting us with in-depth material! 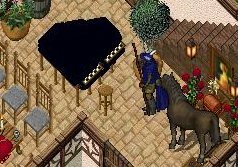 This entry was posted in Game Art Tricks on 2. February 2016 by Simon. Last tips are really cool especially the one with the eye ball which is really awesome, thanks Simon ! lol, very interesting insight on something that often goes by without any major afterthought. 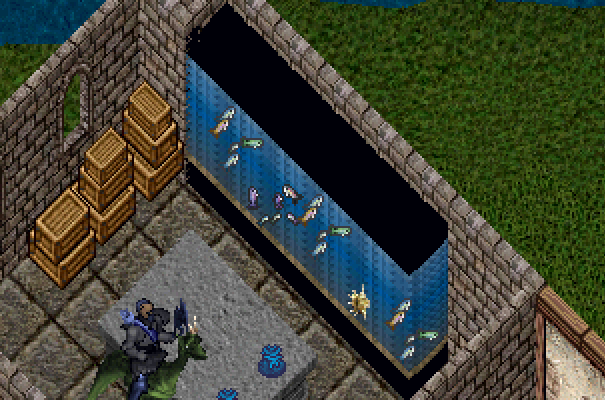 WC3 saw-fish is my absolute fav. Too bad the aquarium didn’t save X rebirth! Hehe but at least it was a lot of work put into the game after the release and many patches improved the game in many areas.